Ukrainian President Petro Poroshenko’s airplane has landed in Russia’s Rostov-on-Don to pick up the Ukrainian female pilot Nadia Savchenko, who has been illegally convicted in Russia, according to an UNIAN correspondent in Russia citing an informed source as saying. "The plane arrived in Rostov overnight. 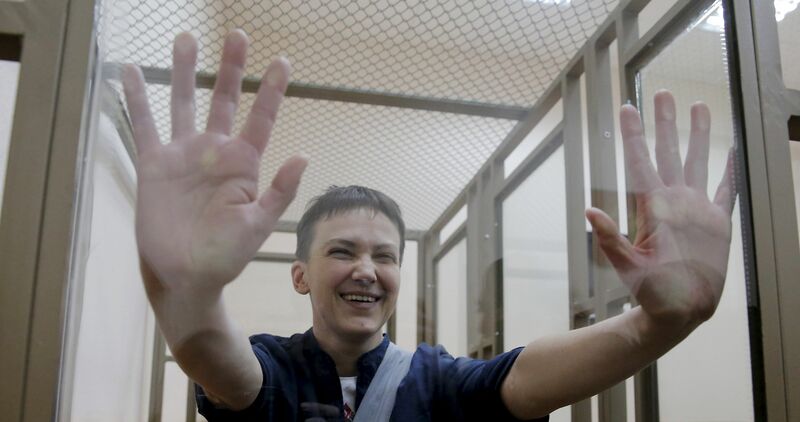 Savchenko’s transfer is to be held today," the source said. As UNIAN reported earlier, after Savchenko was sentencing March 22, Ukrainian President Petro Poroshenko said that Ukraine was ready to transfer to Russia GRU officers Alexandrov and Yerofeyev, in exchange for the release of the Ukrainian female pilot and MP Nadia Savcnehko. On April 24, Poroshenko assured that he agreed with Russian President Vladimir Putin the algorithm and timing of Savchenko’s release. Read alsoPetition for pardon of Russian GRU officers submitted to PoroshenkoOn April 29 it was reported that Savchenko had filled all the documents for extradition. On May 23, when answering the question about the possible exchange of Savchenko for Russian special forces officers Yevgeny Yerofeyev and Alexander Alexandrov, the Ukrainian president said that the government "will do everything possible so that Nadia comes home as soon as possible."